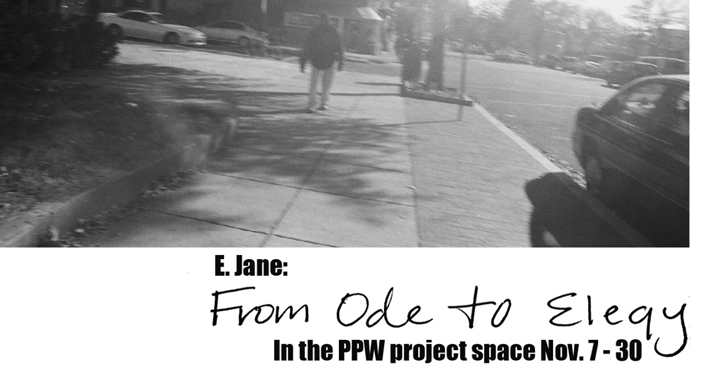 This Saturday marks the last day of our current gallery exhibition: E. Jane, From Ode to Elegy. From 1-3pm on Saturday 11/30 the artist will be in the gallery to greet visitors and talk about her photographs, sound installation, and artist book. She’ll also be signing copies of her book (makes a great gift!). The shop will also be open till 6pm and is full of gifts and other goodies. Shop local on Small Business Saturday!